I’m always amazed how my mom can quickly whip up the yummiest of treats at the end of a meal just by grabbing things she has on hand. 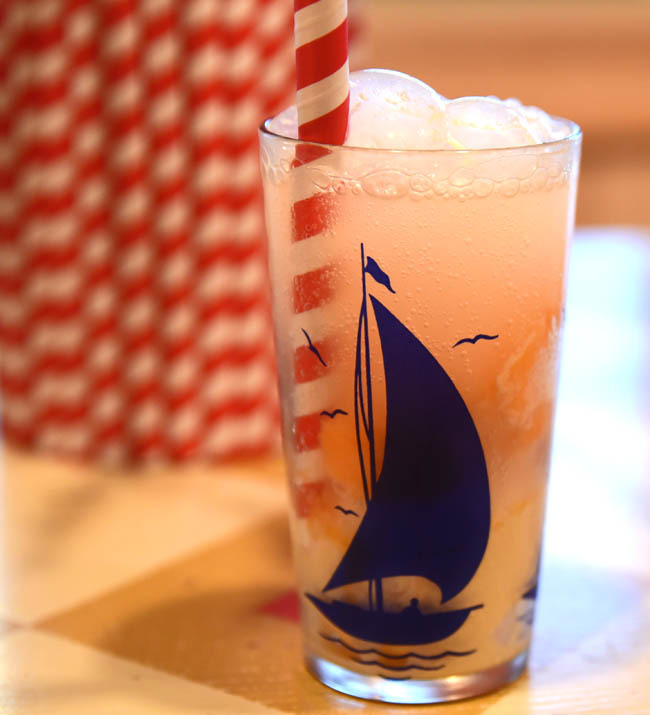 Often, the goodie evokes memories of a favorite childhood sweet, like with this creamy orange combo that is a grown-up version of the “Dreamsicle” frozen confection. 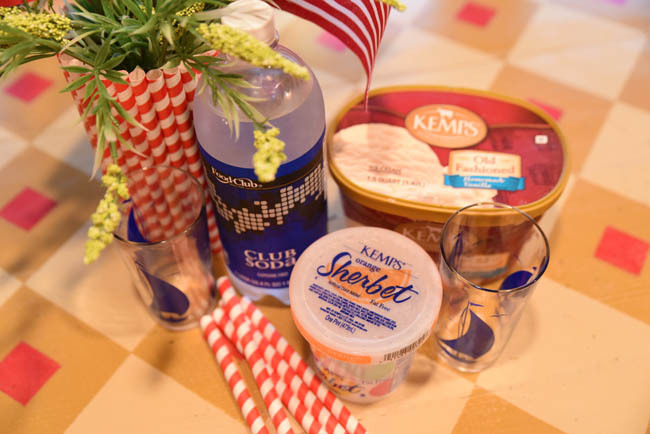 Vanilla ice cream is always on hand at grandma’s house for my daughter Ella, orange sherbet for my dad, and club soda for drinks of other sorts. Simply combine equal parts vanilla ice cream and orange sherbet and top with club soda for a refreshing and delicious dessert. Leave unmixed for a float, or stir together (my favorite) for more of an old-fashioned soda. 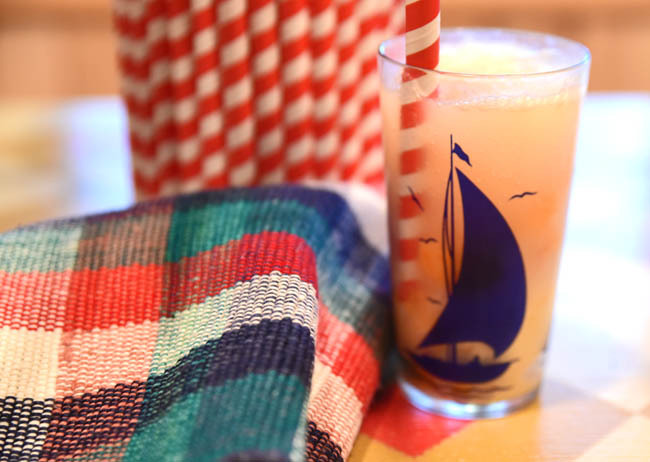 Serve in a nautical themed cute glass with a summertime straw for a special touch.